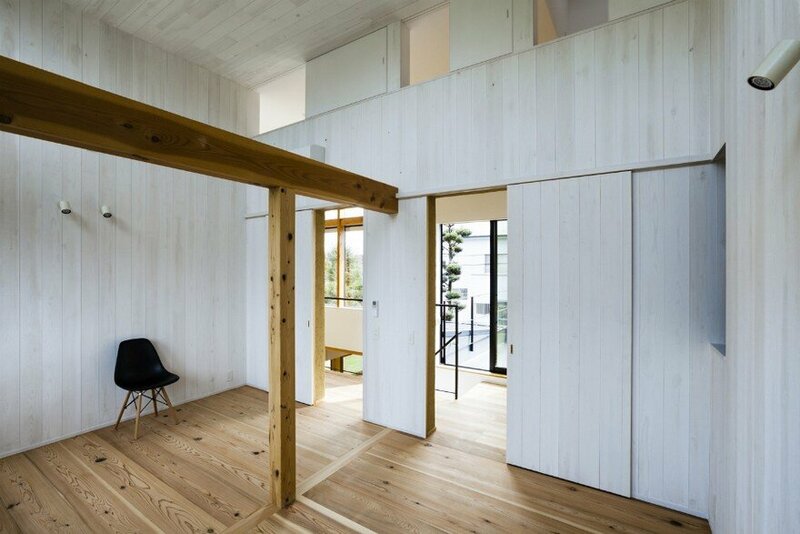 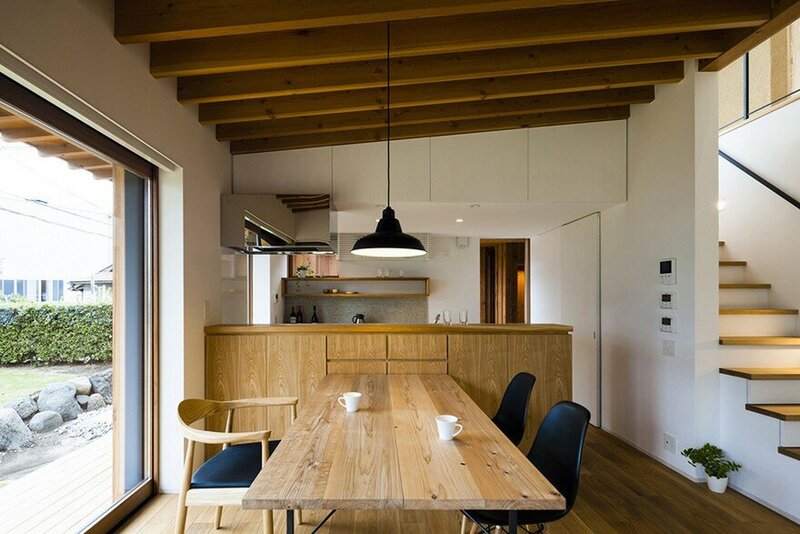 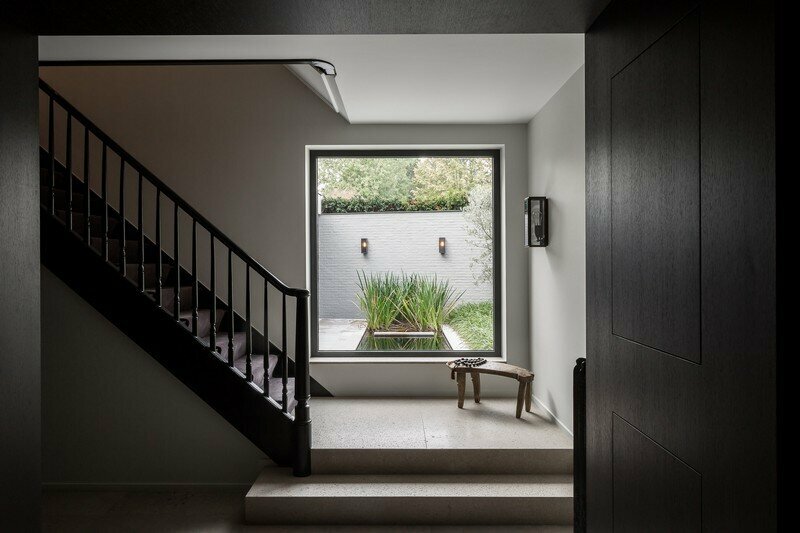 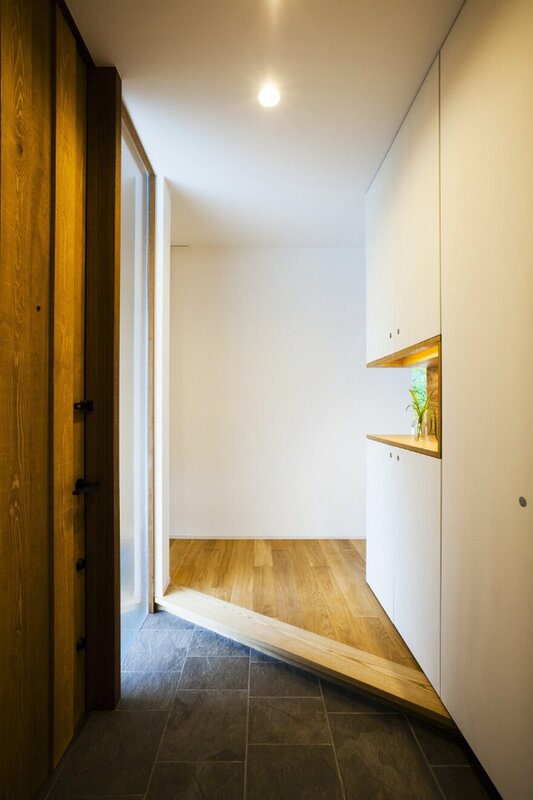 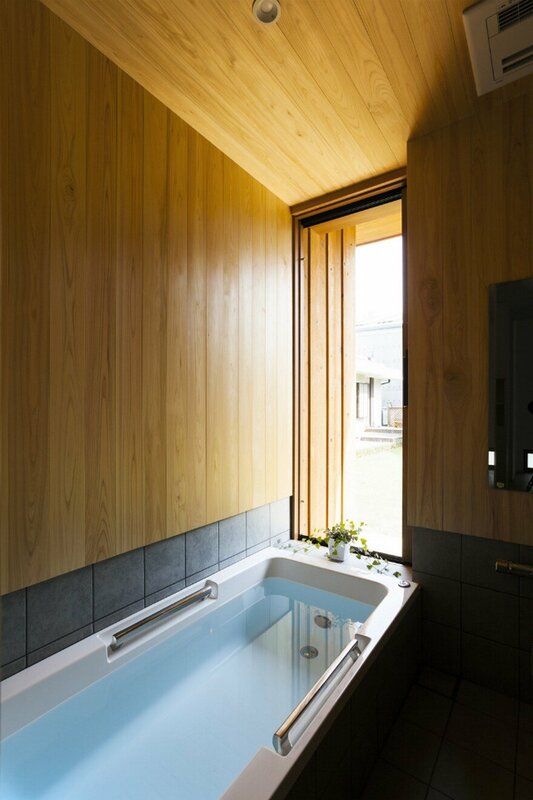 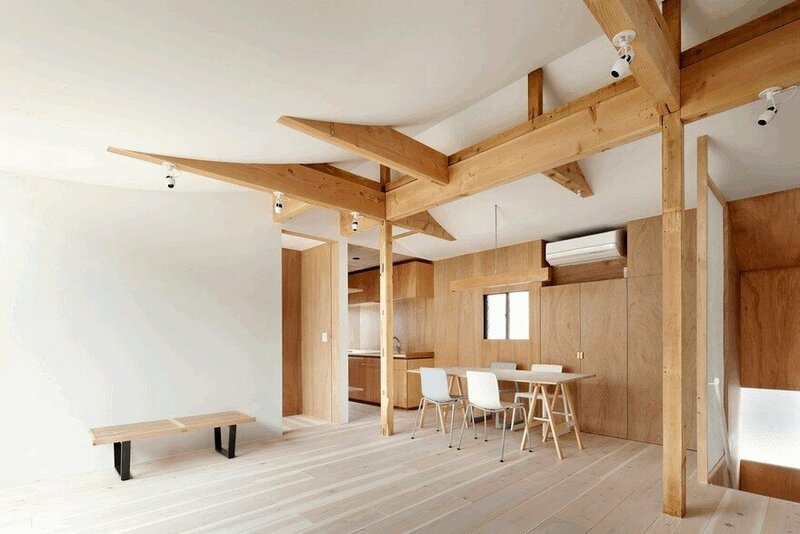 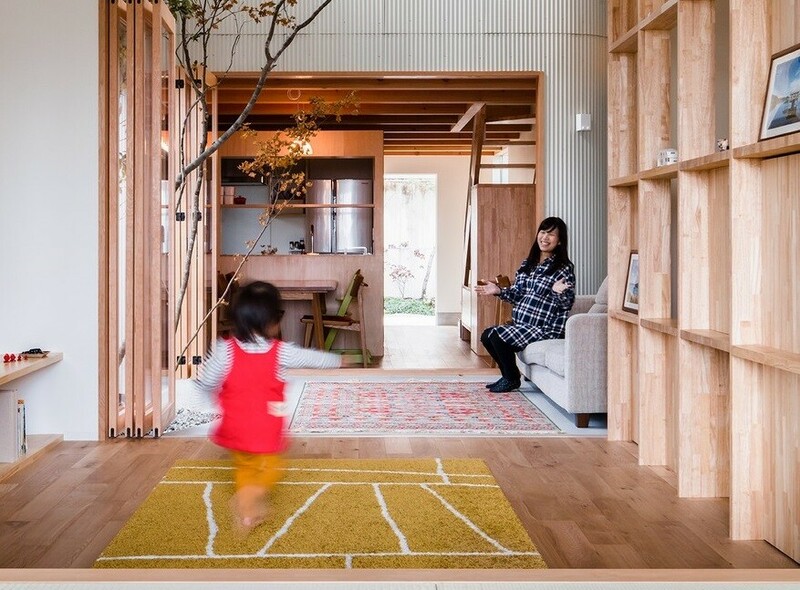 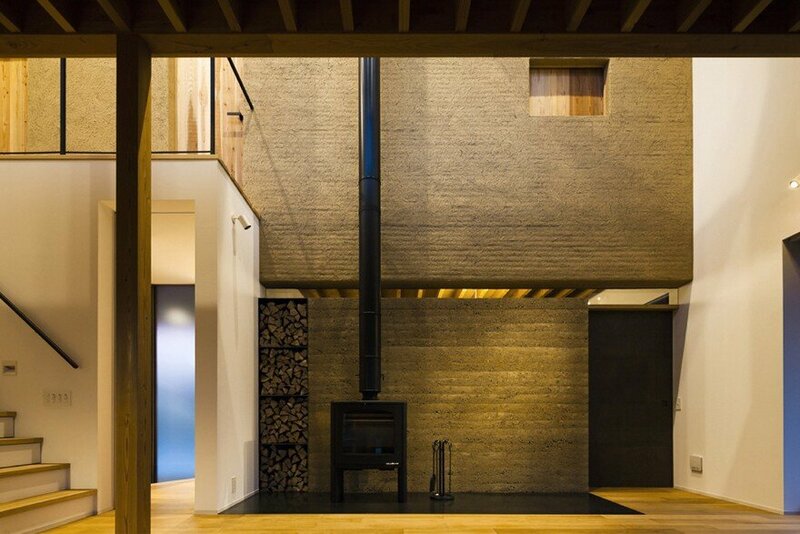 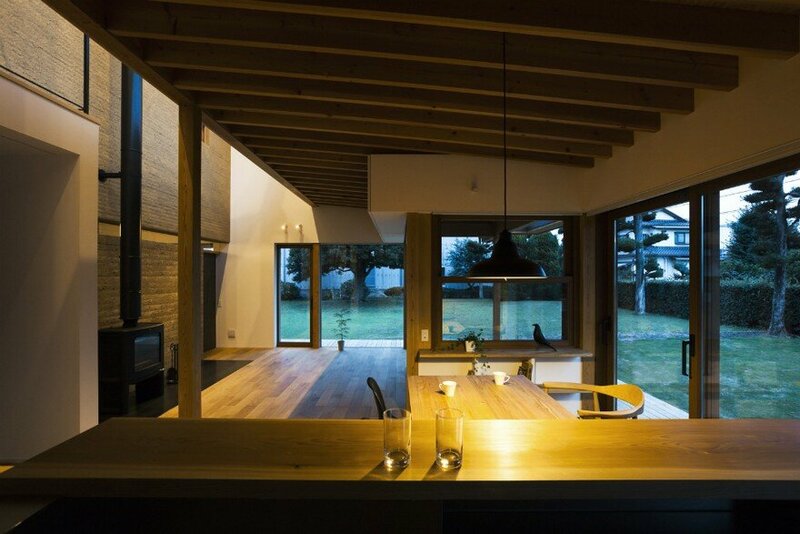 By valuing a long-established, traditional construction method in Japan as well as natural materials, we aimed to design a sustainable indoor environment for the Arakabe house. 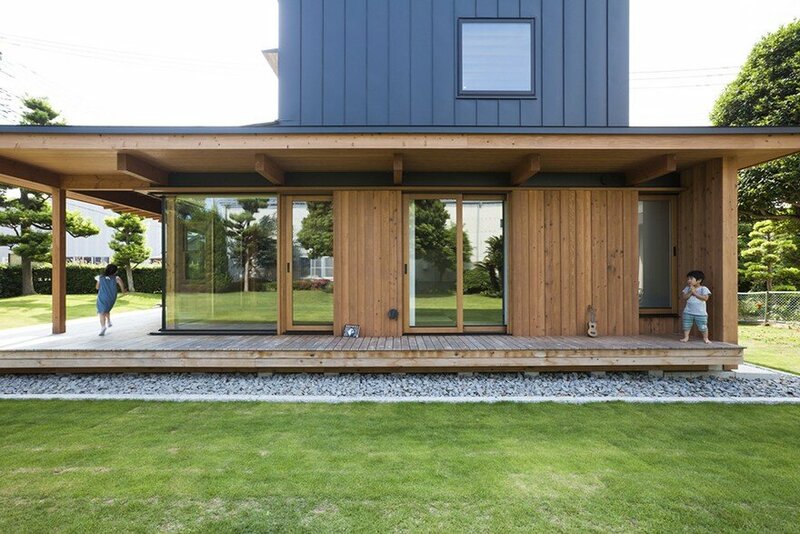 Lawns with rich green plants are located on the south and east sides of the house. 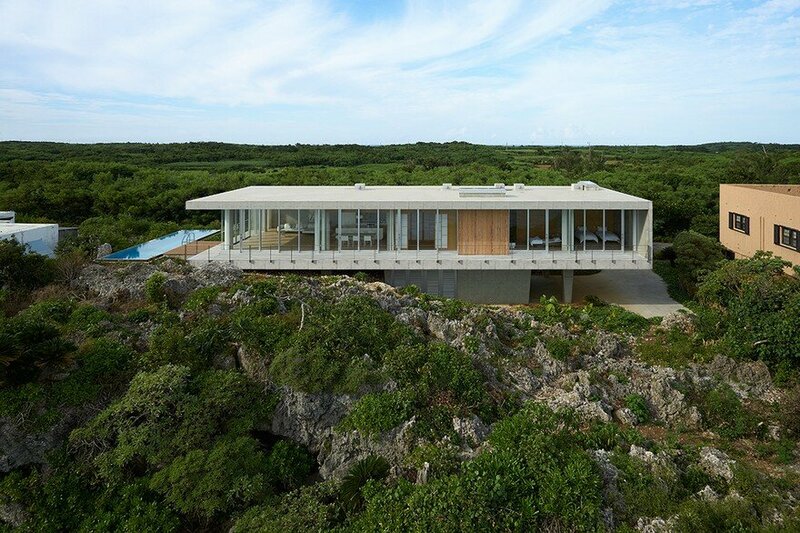 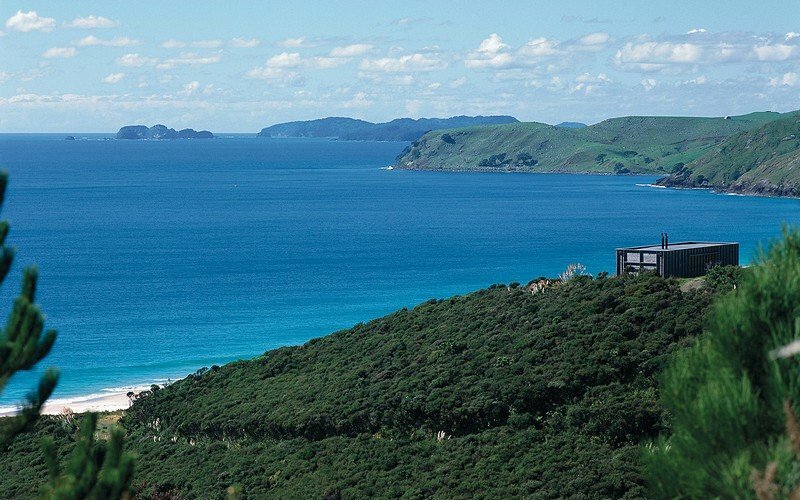 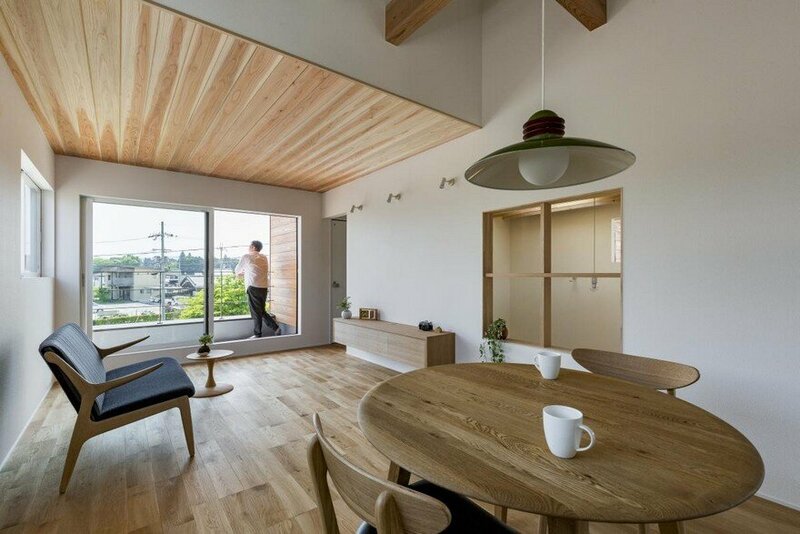 In order to appreciate the green color and breeze from here, wide openings with wooden sashes are constructed. 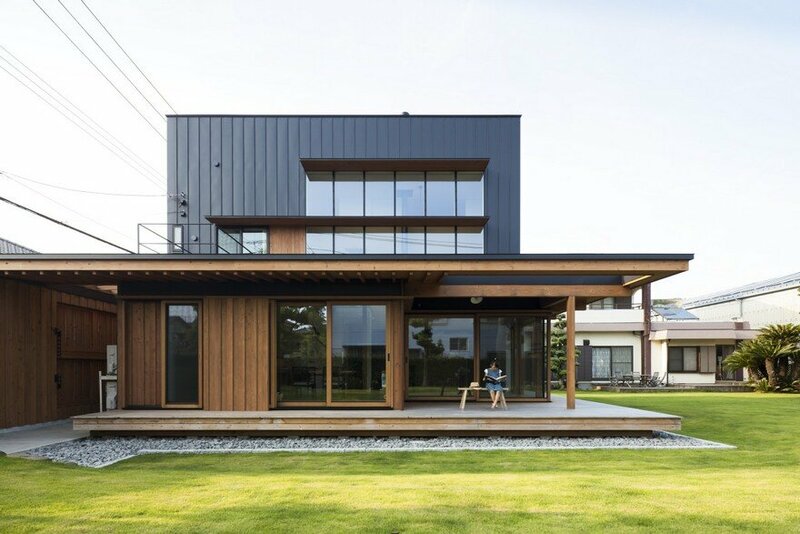 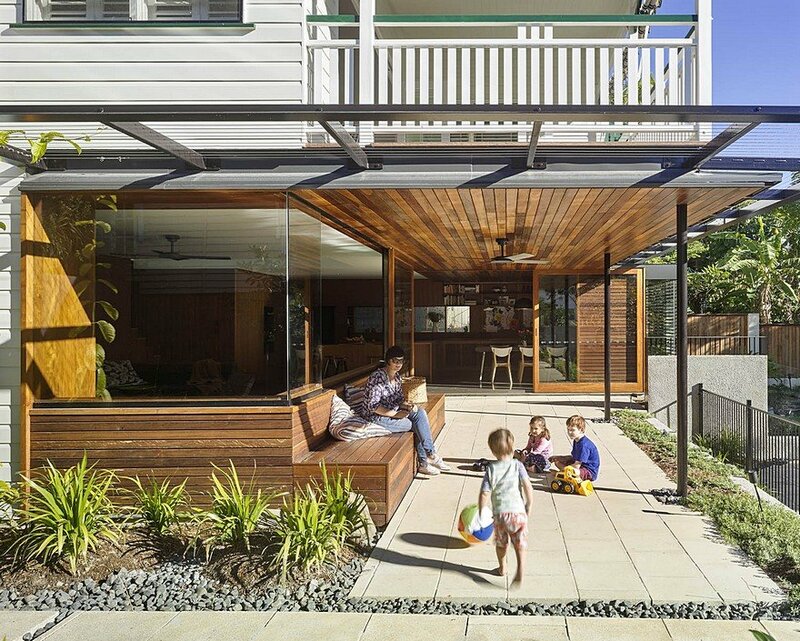 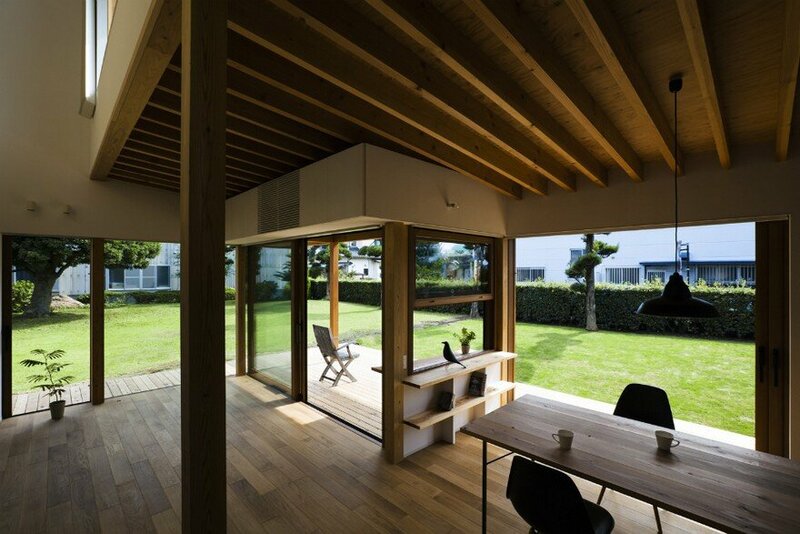 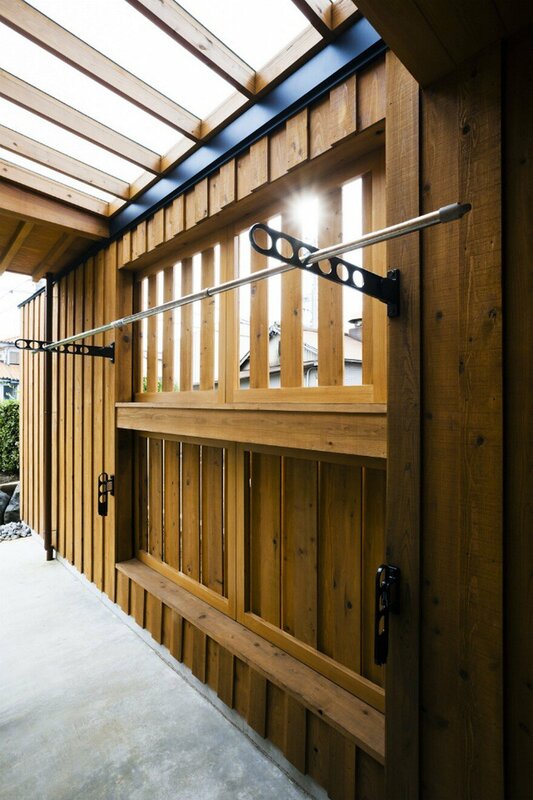 A total length of 21m of wood deck and deep eaves are placed facing towards the yard, creating a space to connect the yard and inside of the house, just like a veranda. 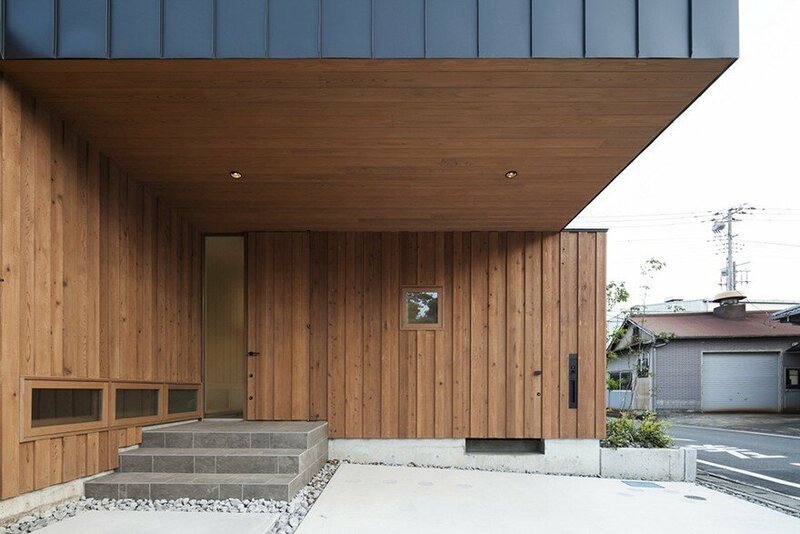 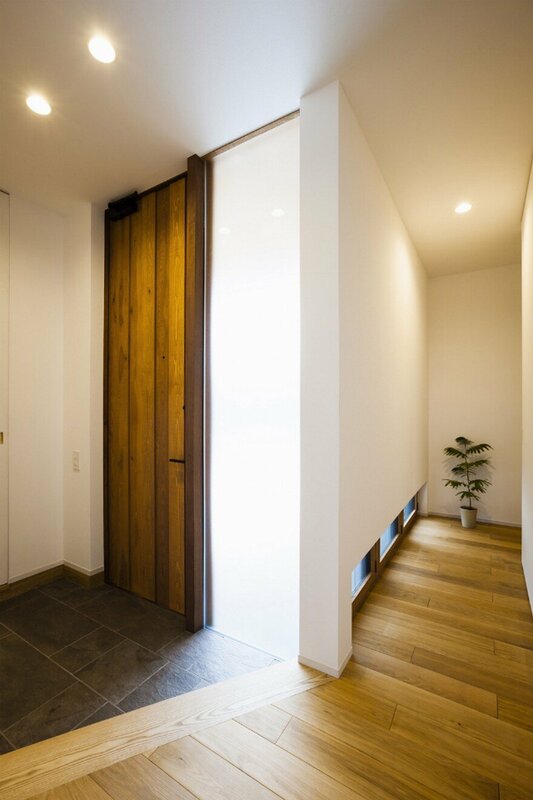 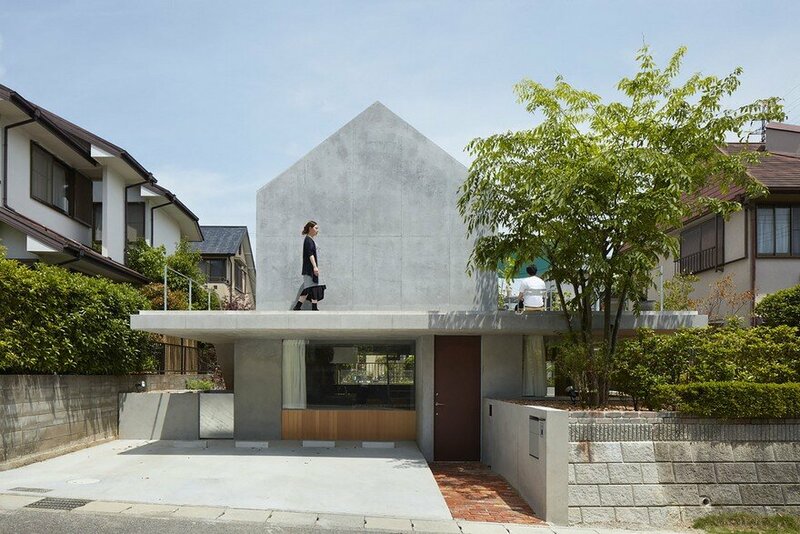 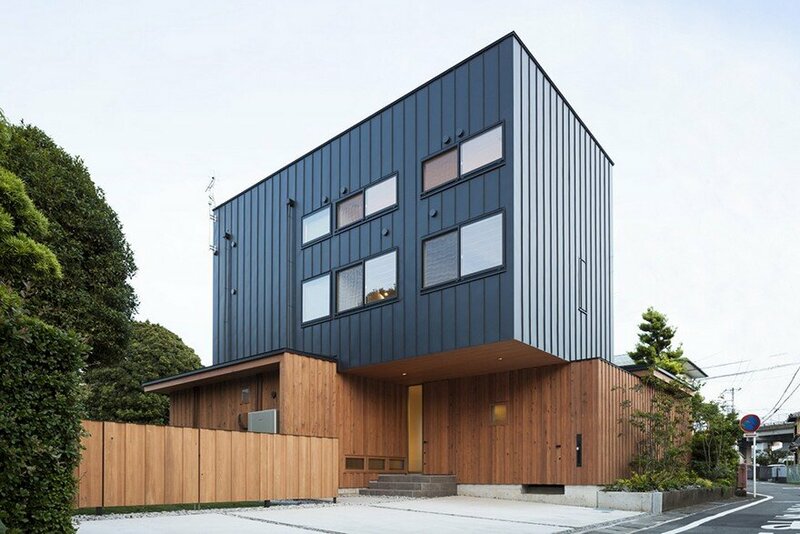 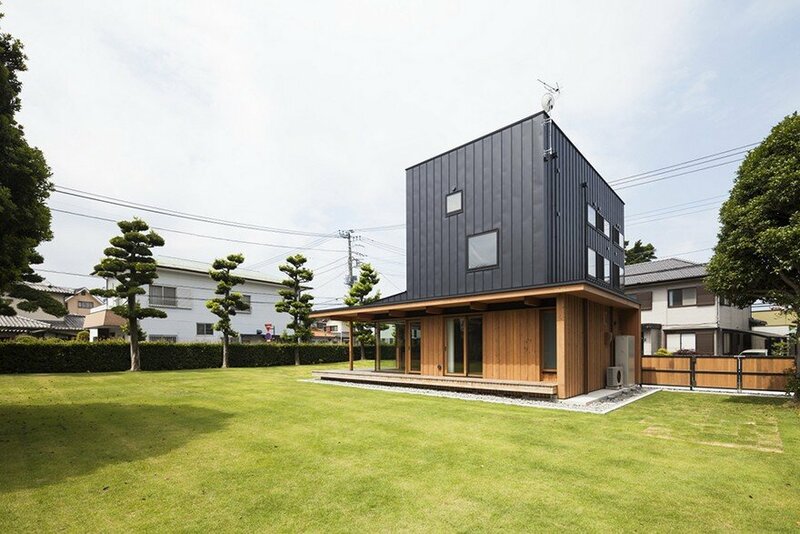 The west side of the Arakabe house, which faces a street, has no openings and has a closed atmosphere for ensuring privacy and blocking the afternoon sunlight. 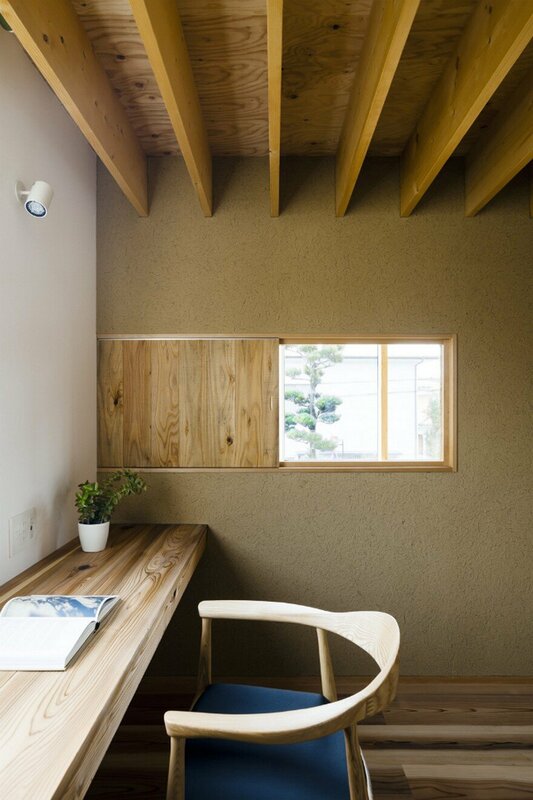 The partition wall in the center of the house is made of a traditional “mud plaster” method. 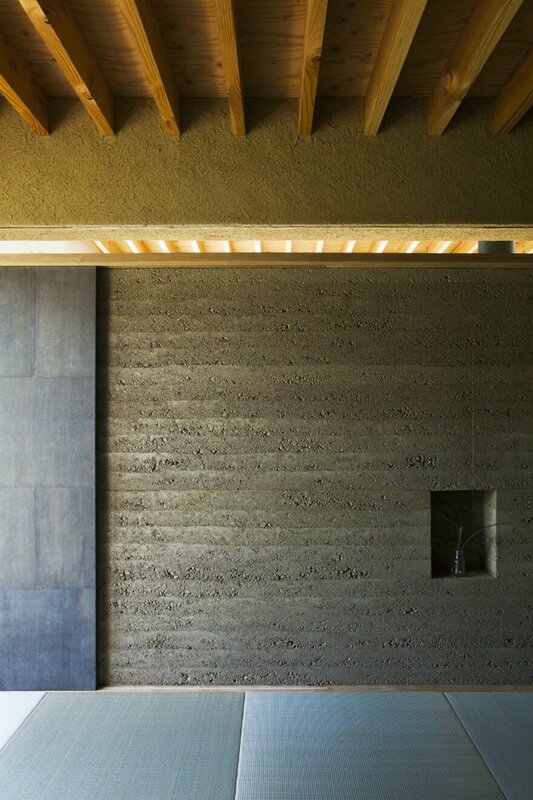 The attractive materials can be sensed on the wall, which is made with mud plaster on bamboo laths. 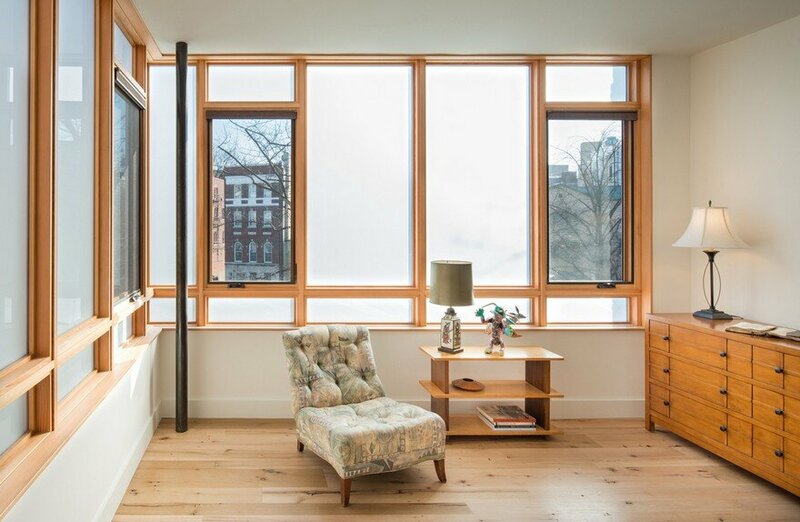 The wall has a role as a “Trombe wall”, which stores heat during the winter from sunlight passing through the wide openings on the south side and from a wood-burning stove, therefore helping to keep the indoors warm. 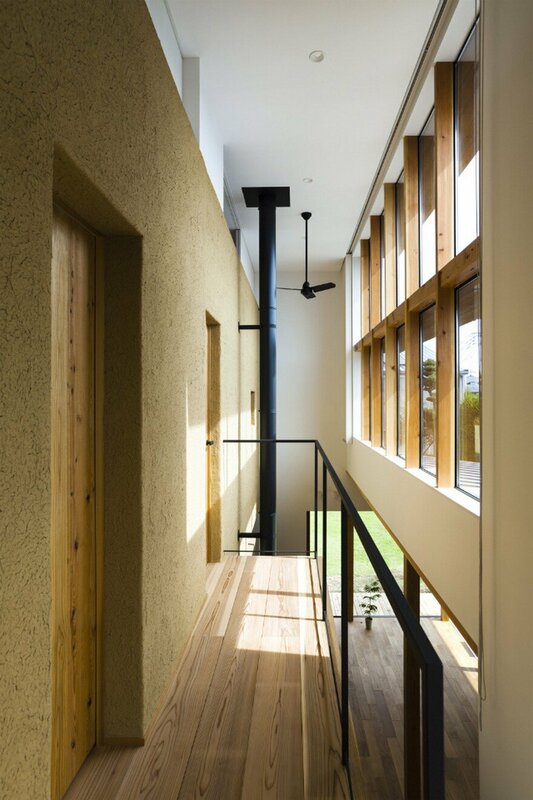 During summer, the eaves block sunlight while the humidity-conditioning mud wall controls the indoor environment. 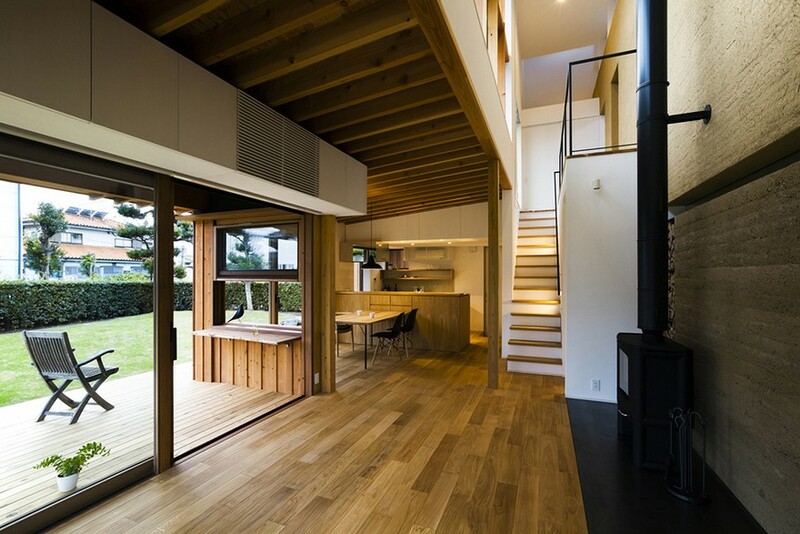 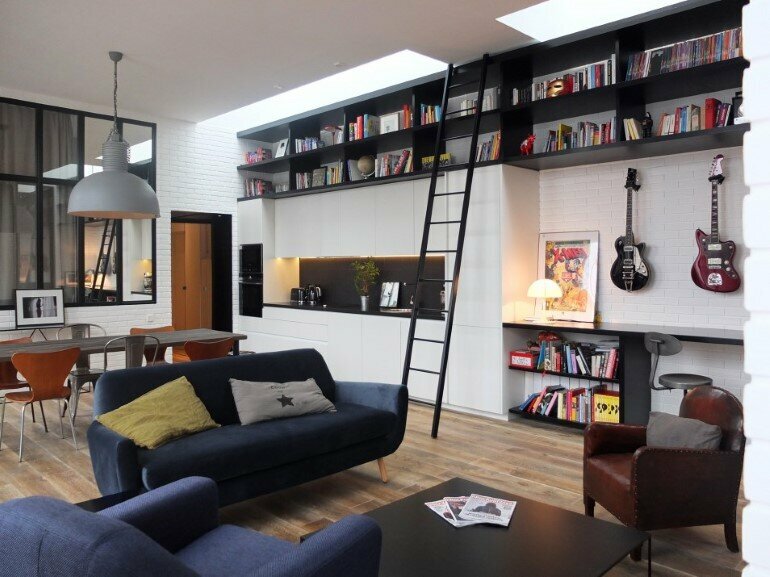 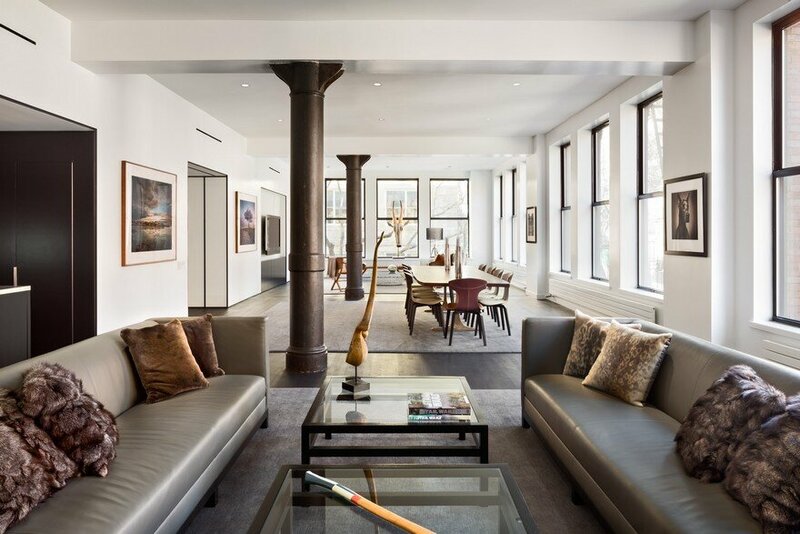 Furthermore, indoor air ventilation is stimulated by the stack effect that utilizes a vaulted ceiling. 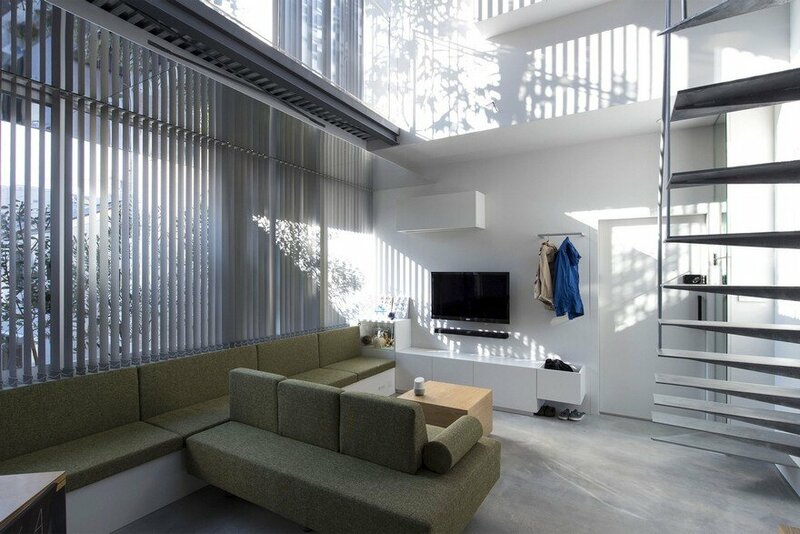 The indoor environment was designed to eliminate the need for air conditioning machines throughout the year.